A widespread South Asian tree of many uses, with bright grey bark. green bipinnate leaves. It bears white-yellow flowers and long green pods. 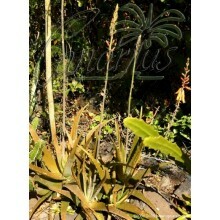 All parts of the plant are edible: leaves, flowers, fruits. It sheds leaves in winter. 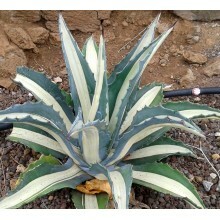 It grows easily and can fruit in pots. 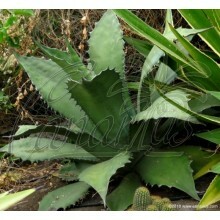 It is very adaptable to cultivation so it is now cultivated in many countries of the world. It is a fast-growing large tree, up to 12 m tall but it can be grown pots and can be kept as a shrub and will even set fruits. This species responds well to pruning, so fields of moringa are heavily pruned once or twice a year, in order to promote new fresh growth for the crop. It does not stand frost and the tree will die if the roots freeze. If you live in a cold area, you can grow it in pots and then you can prune it and bring it indoors in the winter months. The tree can set fruits even in a 20 cm pot! All parts of the tree are somehow eaten or used. According to scientific research of Anwar, Latif, Ashraf, Gilani (2007), this tree contains "important minerals, and are a good source of protein, vitamins, beta-carotene, amino acids and various phenolics. The Moringa plant provides a rich and rare combination of zeatin, quercetin, beta-sitosterol, caffeoylquinic acid and kaempferol. In addition to its compelling water purifying powers and high nutritional value, M. oleifera is very important for its medicinal value. Various parts of this plant such as the leaves, roots, seed, bark, fruit, flowers and immature pods act as cardiac and circulatory stimulants, possess antitumor, antipyretic, antiepileptic, antiinflammatory, antiulcer, antispasmodic, diuretic, antihypertensive, cholesterol lowering, antioxidant, antidiabetic, hepatoprotective, antibacterial and antifungal activities, and are being employed for the treatment of different ailments in the indigenous system of medicine, particularly in South Asia." Moringa oleifera has an impressive range of medicinal uses with high nutritional value. Just browse the internet and read more. How Large are the Plants for Sale in the Shop? 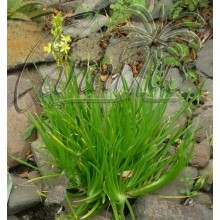 We ship worldwide a 1 year old plant, about 40-80 cm tall. Notice: Moringa sheds leaves in winter, so don't be scared if the tree is leafless in the colder months. Our plants are leafless from January to early May.